DOMESTIC VIOLENCE SUPPORT GROUP - Does your partner control your money, activities and time, or accuse you of cheating? Are you walking on eggshells? There is help. Peace House offers a free support group every Tuesday at 6 p.m. Child care provided. Call 647-9161. THE COLBY SCHOOL BOARD meets the second Wednesday of the month at 6:30 p.m. at the school. Call Amy Davies, 655-3966 or email adavies@thecolbyschool.org. CAREGIVERS SUPPORT GROUP, hosted by Wasatch Senior Center, 465 East, 1200 South, Heber (in the new library building) meets second Thursday of each month, 4-6 p.m. Open to anyone caring for a disabled individual or concerned about someone in or out of a nursing home or care facility. Call Melanie Haws at Mountainlands Dept. of Aging, (801) 229-3804. PARK CITY COUNCIL – Regular meetings each Thursday, approximately 6 p.m.; Work Session precedes meeting. Marsac Bldg. 615-5007. Public welcome. PARK CITY AREA LODGING ASSOCIATION meets the first Wed. of each month. Contact Rhonda Sideris at 649-6175. 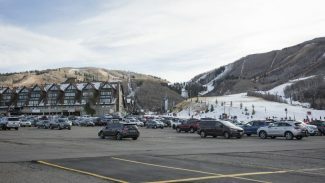 PARK CITY PLANNING COMMISSION Regular meetings every 2nd and 4th Wednesday at 7 p.m., Marsac Bldg.. Work Session, 5:30 p.m.
ALCOHOLICS ANONYMOUS (AA) meets in Park City: Mon.-Fri., 7 a.m.and Sat. and Sun. 8 a.m. Park City Senior Center, 1361 Woodside Ave.(Wakeup call); Mon.-Sat. 7:15 a.m. St. Luke’s Chapel, 525 Park Ave. (Attitude Adjustment); Daily. Noon St. Luke’s Chapel; Mon. 7 p.m. St. Luke’s Church (Step Study), 4595 N. Silver Springs Dr., behind Blue Roof; Tues. 7 p.m. Valley Mental Health, 1753 Sidewinder, 2nd fl. (candlelight). Wed. 7 p.m. Shepherd of the Mountains Lutheran Church, 4051 N. Hwy. 224, north of The Canyons turnoff; Thurs. 7 p.m.*Men’s meeting, Miners Hospital; 7 p.m. *Women’s Reflection, St. Luke’s Church, 4595 N. Silver Springs Dr. (behind Blue Roof); 7 p.m. Young people’s meeting, Valley Mental Health; Fri. 7 p.m., Speakers meeting, Miners Hospital basement; Sat. 6 p.m. Big Book, Miners Hospital basement. ; Sun. 6 p.m. Birthday meeting, Miners Hospital basement. Questions? Call Gordon, 649-0073; Mike, 649-4591; Larry, 901-1197; Kym, 649-6109; Lisa, 646-5472; or Gregory, 731-0727. 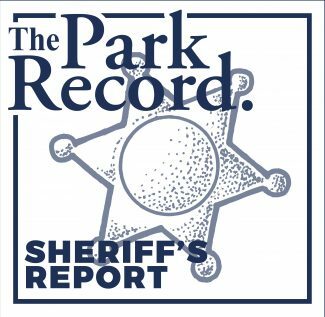 Park City recorded message with updates is 649-0022. 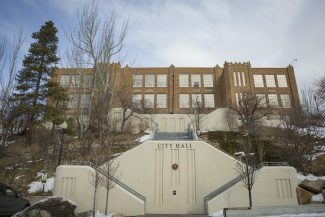 (*closed meetings) Heber City meetings: M-F, 8 p.m., Old Heber Hospital, 600 E. Center St. (Websites: parkcityaa.com, saltlakeaa.org) ** Kamas meetings: Tues., 7 p.m. and Sun., 6 p.m. at Kamas Bible Church. COCAINE ANONYMOUS holds meetings on Mondays, 7 p.m., at 1753 Sidewinder Dr. For information, call 513-7862 or 640-8183. DRUG PROBLEM? NARCOTICS ANONYMOUS COULD HELP. Meetings Wed and Sat, 7:30 p.m. at St. Luke’s Episcopal Church (behind the Blue Roof), 4595 Silver Springs Dr. Park City; and in Heber, Tues., Thurs., 8 p.m. at the Worship Center, 1400 N. U.S. 40 and Sunday, 8 p.m. at St. Lawrence Church, 5 So. 100 W. Call John (484) 354-3776. AL-ANON is a fellowship of relatives and friends of alcoholics who share experience, strength and hope to solve their common problems. Saturdays, 9:30 a.m. at Saddleview Office Bldg. B, 2200 Park Ave.; Mondays, 6:30 at the Sheldon Richins Bldg. (small conference room), 6505 N. Landmark Dr.; call Lisa, 649-5472; and Wednesdays, 6 p.m. at the Miners Hospital, call Theresa, 640-3421. ALATEEN is a fellowship for adolescents, 10-18, of alcoholics who share experiences, strength and hope to solve their common problems. Meetings, Tuesdays, 7 p.m. at Bible Church, 480 N. 100 W., Kamas. Call Don, 901-1086. ANY(A) meets on Fridays at 7 p.m. at the Trailside Park Recreation Center. For information call Don B. at 901-1086. If you feel you have a problem…and want to get better, call us. DEBTORS ANONYMOUS is an anonymous fellowship helps anyone suffering from compulsive debting and spending. No dues or fees. Sundays, 4 p.m. at Friendship Manor, 1320 E. 500 S., SLC (basement- room 1B), and Wednesdays, 7-8:30 p.m. in the 2nd floor board room at Friendship Manor. Call (801) 359-HEAL or Charlene, (801) 220-0369. NEWLY DIAGNOSED WITH MS SUPPORT GROUP holds scheduled free meetings. Utah State Chapter, 2995 S. West Temple, Ste. 3, SLC. MAN TO MAN prostate cancer education and support group holds meetings on the first Wednesday of the month. They are free, and open to patients’ family members and friends. Call (801) 483-1500 or 1-800-234-0533. CEA-HOW is an anonymous fellowship offering help to anyone suffering from compulsive eating. No dues, no fees, no weigh-ins. For meeting times and information, call Cheryl at 649-4468. SUMMIT PARK HOMEOWNERS ASSOC. meets the 3rd Tuesday of each month at 7:30 p.m. in the conference room at the Summit County Library at Kimball Junction. Guest speakers. All Summit Park residents welcome. PFCCA PROFESSIONAL FAMILY CHILD CARE ASSOC. 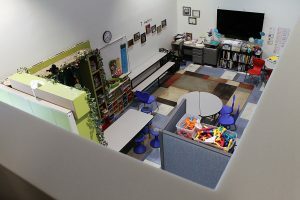 Support group offering training for in-home and center-based child care providers. Call Allyson at 655-0687. PARK CITY HIGH SCHOOL PTSO meets the 2nd Tuesday of each month at 9 a.m. in Room 149. Call Dale Hart at 649-9699. SNYDERVILLE BASIN WATER RECLAMATION DISTRICT Meetings held the 3rd Monday of the month, 5 p.m., district offices, 2800 Homestead Rd. PARK CITY PDD AUTISM SUPPORT GROUP, a monthly gathering for parents, educators and caregivers of people with developmental delays or autism. Call Joy Stanley 655-8885 (640-6427 cell) or Lori Elkins 615-7957 (602-9478 cell). PARK CITY/SUMMIT COUNTY LEAGUE OF WOMEN VOTERS holds regular meetings each month. The grassroots, non-partisan group offers education on issues and encourages effective government. Everyone is invited. Call for time and location at (801) 272-VOTE (8683). Affilliated with the Salt Lake Chapter. PARK CITY PUBLIC LIBRARY Board meetings are held at the library, 1255 Park Ave., the 2nd Monday of each month, 10 a.m. to noon. Public welcome, 615-5600. SUMMIT CO. LOCAL EMERGENCY PLANNING COMMITTEE (LEPC) holds monthly meetings. Call 615-3521. FRANCIS TOWN PLANNING COMMISSION meets 3rd Wednesday of each month at 7 p.m., Town Park Building. THE BOARD OF TRUSTEES of Summit County Service Area No. 3 will meet 1st Thurs. of the month, 7:30 p.m. SUMMIT COUNTY LIBERTARIAN PARTY will hold meetings on the third Thursday of each month at Starbucks, 6400 North S.R. 224, Park City. Public is invited. Call 658-1847. OAKLEY TOWN MEETINGS are held the 1st and 3rd Thursdays of the month. OAKLEY PLANNING COMMISSION will hold its meeting on the 4th Thursday each month. SUMMIT COUNTY PARENTS AND ADVOCATES of Persons with Disabilities, is a support group serving persons with all disabilities, regardless of age. Meetings free. Call Janet Greenwell at 655-2968. DOMESTIC VIOLENCE SUPPORT GROUP – Does your partner control your money, activities and time, or accuse you of cheating? Are you walking on eggshells? There is help. Peace House offers a free support group every Tuesday at 6 p.m. Child care provided. Call 647-9161.